What Blog is This? 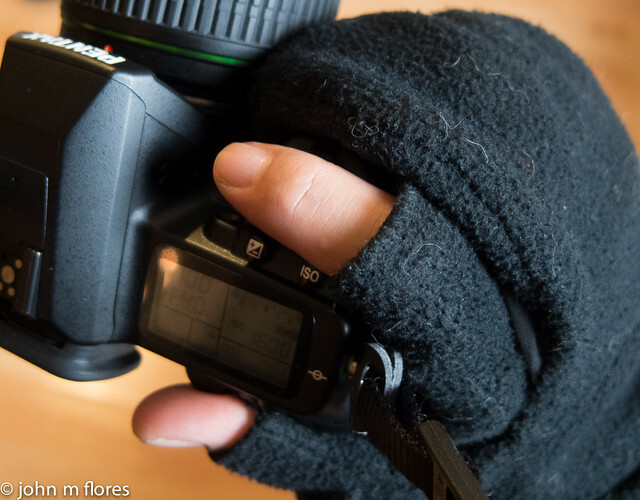 : Cold Weather Shooting Tip: "Glomitts"
Cold Weather Shooting Tip: "Glomitts"
Gloves + Mittens = "Glomitts"
My wife and I made up that name. I have no idea what they are really called. Wait, I found them; EMS calls them "Convertible Mittens." How boring. I'm going to continue calling the "Glomitts" and encourage you to do the same. 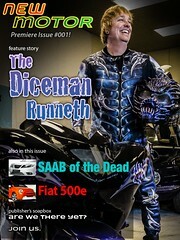 If you look at the thumb you'll see the thumb "hoodie" ("thudie"?) pulled back. It's held in place by a magnet embedded in the fleece. 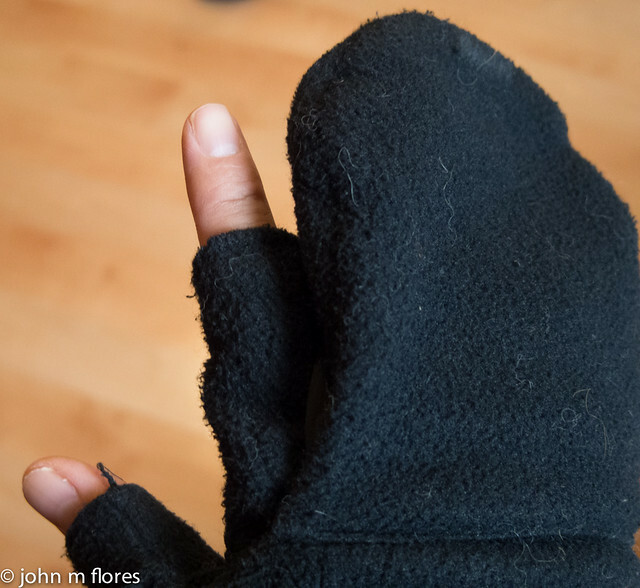 There's a similar finger hoodie ("foodie"? Nah, that doesn't work at all) on the backside of this shot. The magnets are apparently attracting cat hairs. That's my story and I'm sticking to it. That's real simulated outdoor cold-weather shooting you're seeing here. Actually, it's the kitchen. But with the two fingertips free, you can control the camera easily. 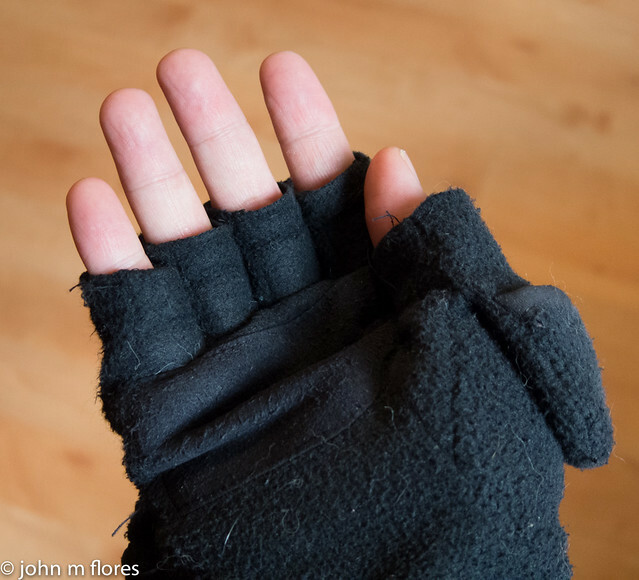 Your left hand can be completely mitted or completely fingerless gloved or anywhere in between as you see fit. The glomitts worked great in Philly at the New Year's Day Mummer's Parade. Here they are at EMS. Warning, do not throw into the dryer on high heat. Don't ask how I know this.